When I like an art exhibit, I have this tendency to visit it, shall we say, compulsively. Such was the case several years ago when the National Gallery of Art in Washington, D.C. hosted an exhibit of Irving Penn’s photographs. Each time I walked through the rooms of black and white palladium prints, I always found myself staring at this picture of French novelist, Colette. 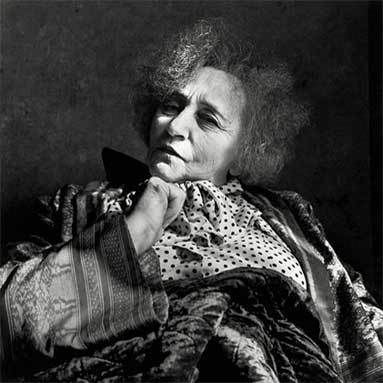 After photographing Colette, Penn said: "Sensitive People faced with the prospect of a camera portrait put on a face they think is the one they would like to show the world. This facade is protective and they are most pleased if the photographer will idealize their fond image of themselves. I am not at all tender (I think of myself as neutral) as I seek to make an incision in the presented facade... Very often what lies behind the facade is rare and more wonderful than the subject knows or dares to believe."